Only sixteen teams remain with a shot at the 2016 national championship to be contested in Columbus. The top four seeds in the Division I Women’s Volleyball Championship advanced through first- and second-round competition and will host regional matches December 9 and 10 on campus sites. At each site, teams will compete in single-elimination regional semifinal competition. All regional semifinal matches will be shown on ESPNU or ESPN3. Regional final matches will air on ESPNU. Regional winners will advance to the national semifinals and championship final co-hosted by the Ohio State University and the Greater Columbus Sports Commission at Nationwide Arena on December 15 and 17. 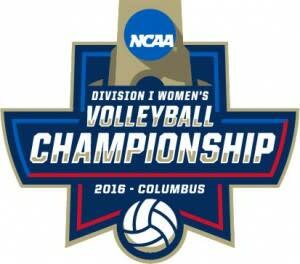 Both national semifinal matches as well as the championship match will be broadcast by ESPN2. Media members interested in covering the championship event can log on to www.ncaa.com/media and access the credential application via the link under Fall Championships. Please complete the online registration by Monday, December 12.